Sighthill carry the Edinburgh banner into the Purdie Worldwide-sponsored Inter County Top Ten Tournament that celebrates its 37th year and swings into its prelim round action tomorrow. Hopes are high that the four-times champions of Edinburgh can succeed Carrick Knowe as national kingpins and a favourable draw gives them home advantage against Tarves of Aberdeen & Kincardine. E&L Hamilton Trophy star John McDermott spearheads the Sighthill challenge in the Singles and he is supported by Adam Melrose and Graeme Eddington (Pairs); Aaron Donald, Scott Lyell, and Stuart Isbister (Triples); Ross Moodie, David Connelly, Ross Noble, and Gary Connelly (Fours). The champion clubs of all 25 City and County Associations nationwide are competing for the Jimmy Page Memorial Trophy and this year’s final is being hosted by Bainfield BC on Sunday, June 10. Kirkliston are Top Ten legends having reigned as West Lothian champions on a record 12 occasions and The Cheesetown Boys have gone on to reach six national finals and capture the Scottish crown a record four times. 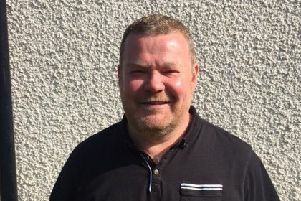 Their bid to bring the 2018 title back to West Lothian is launched with a tough prelim round visit to their Stirling County counterparts – namely Adrian of Falkirk. The KBC line up features four times WL Master Grant Logan as the spearhead figure in the Singles while 2014 Commonwealth Games gold medal winner Neil Speirs skips Steven Forrest in the Pairs. Ray Logan – the 1998 Scottish Singles Champion – skips the Triple with his son Scott at lead and Mark Allison at second while his other son Calum skips Jordan Pearce, Andi Gray, and John Aitken – the 1988 Scottish Singles champion - in the Fours. Cockenzie & Port Seton won the title in 2007 and are expected to enjoy a strong 2018 campaign, albeit facing a tough test tomorrow away to Dumfries. 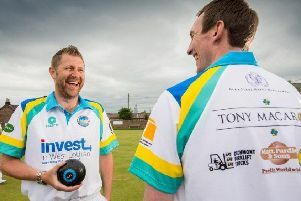 Scott Kennedy leads the line in the Singles while recent Commonwealth gold medal hero Derek Oliver skips Jamie Higgins in the Pairs while just announced new cap Steven Morgan skips Martin Munro and Jamie Gordon in the Triples. Michael Green, Gordon Baillie, Steven Thomson and Craig Valentine complete the line-up in the Fours. On the face of it, Midlothian champions Deantown will line up as underdogs in an away visit to Law, the champions of mighty Lanarkshire. Six times club champion Brian Yuill skips John Fisher in the Pairs while his son Mark parades his skills in the Singles. Grant King skips Robert Chapman and David Rattray in the Triples. County captain Sandy (AJ) Knight skips Colin Wilson Kenny Tait and Peter Rattray in the Fours. n EDINBURGH & LEITH launch their Cities and Counties campaign for The Hamilton Trophy against Fife at Sighthill today under the new joint management of Duncan McLaren and Ricky Rutheford. The return at skip of former captain Andrew Ramsay of Slateford is an eye-catching selection while but it is a surprise to see Daniel Gormley of Craigentinny and David Fisher of Colinton. Rink 1: Craig Mackintosh, Scott Rogers, Alan Brown, Paul Veitch (c). Rink 2: Neil Watson, Andy McNab, Liam McKay, James Hogg. Rink 3: Ross Noble, Stephen Pringle. Kevin Tenant, John Ramsay. Rink 4: Graeme Eddington, Steven Pilley, Craig Paterson, Andrew Ramsay. Rink 5: Adam Brock, Gordon Bold, Jamie Gracie, Robert Marshall. Rink 6: Stuart Isbister, Stevie Ritchie, Robert Donaldson, John McDermott. West Lothian face Border at Gordon BC and team manager Gordon Logan makes six changes from the team that reached last year’s semi-finals. In come Jamie Edwards of Broxburn, Bryan Cooper of Bathgate, Andi Gray of Kirkliston, Barry Sword of Buchan Park, Calum Black of East Calder, and Gary Orr of Linlithgow. They replace Scott Mushet of Linlithgow, David Lamb of Uphall Station, Drew Paterson of Newbridge, Andrew Semple of Newbridge, Andy Walker of Winchburgh, and the legendary John Aitken of Kirkliston. Logan and his co-selectors stay faithful to their six skips but five have new thirds with the back-ends reading; James Speirs & Grant Logan; Bryan Cooper & Neil Speirs; Greg Logan & Steven Fleming; Calum Logan & Andy Dunnett; Sandy McDougall & Ray Logan, Gary Smith (Cpt) & Thomas Mann. Midlothian are without top stars Derek Oliver and Colin Walker for their match against Stirling County East at Newbattle and new manger Ronnie Allen gives a debut to Grant King of Deantown. East Lothian open against West Fife at Inverkeithing.